The MD4 Message-Digest Algorithm is a cryptographic hash function developed by Ronald Rivest in 1990. The digest length is 128 bits. The algorithm has influenced later designs, such as the MD5, SHA-1 and RIPEMD algorithms. One MD4 operation : MD4 consists of 48 of these operations, grouped in three rounds of 16 operations. F is a nonlinear function; one function is used in each round. Mi denotes a 32-bit block of the message input, and Ki denotes a 32-bit constant, different for each operation. The security of MD4 has been severely compromised. The first full collision attack against MD4 was published in 1995 and several newer attacks have been published since then. As of 2007, an attack can generate collisions in less than 2 MD4 hash operations. A theoretical preimage attack also exists. A variant of MD4 is used in the ed2k URI scheme to provide a unique identifier for a file in the popular eDonkey2000 / eMule P2P networks. MD4 was also used by the rsync protocol (prior to version 3.0.0.) 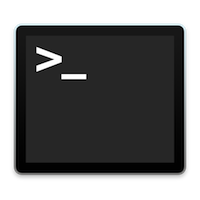 MD4 is used to compute NTLM password-derived key digests on Microsoft Windows NT, XP, Vista and 7.